The Nike Free is nothing new in the running shoe world. In the early 2000s, Nike noticed that some of the best runners weren't always wearing shoes when they were training. Designers observed the Stanford University track team training barefoot during practice, running barefoot on golf courses to utilise more of the 52 muscles in their feet. After 12 months of research, the team found that when running barefoot on grass, runners had a more natural 'foot strike' (how your foot hits the ground), more muscles were engaged in the foot and ankle and that running barefoot, over time, improved balance and flexibility. The initial design brief for the Nike Free was to create a shoe that allowed the foot to move more naturally than traditional footwear and help protect runners from the elements. 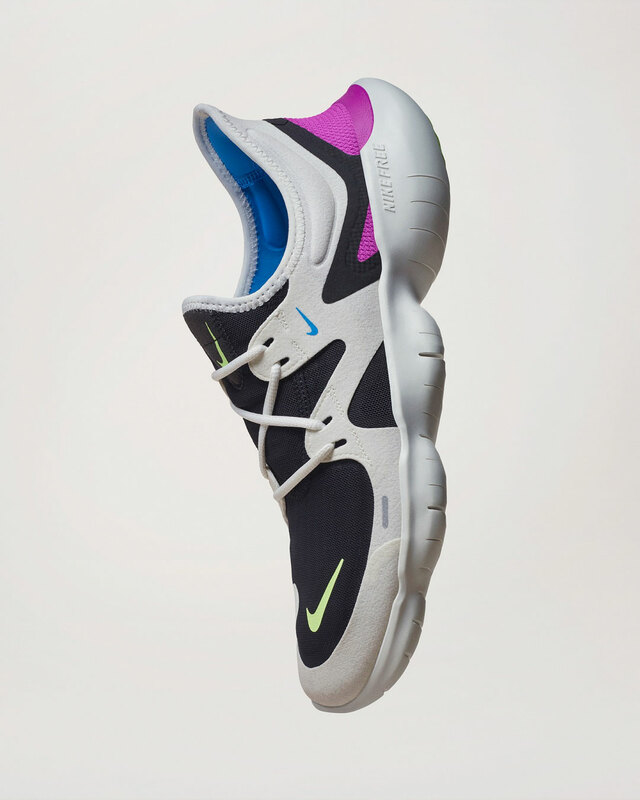 The original Nike Free collection was launched in 2004 and now, in 2019, we're seeing a complete relaunch of the Nike Free. 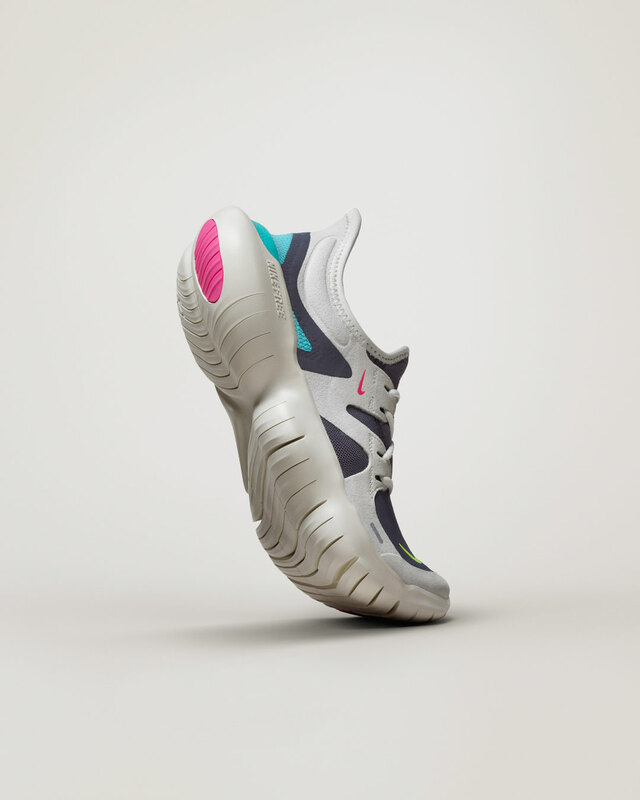 The team found that they may have lost their way from the initial brief of creating a shoe that focussed on giving that barefoot feel and protecting the foot in doing so. In creating the Nike Free 5.0, the team went back to Stanford University to both observe and to reintroduce the Nike Free to runners who may have been confused as to how to use the shoe as a proper training tool. The shoe has been designed to get more of the foot engaging with the ground. There’s 20% more flexibility in the new Nike Free 5.0 in comparison to the last model which gives a wider rage of motion and allows runners to take on all manner of terrain. Other changes include a low-profile midsole that increases connection to the ground, a stretch knit upper—which contains recycled plastic—provides breathability in the shoe, and flex grooves on the sole that help the foot move more naturally. 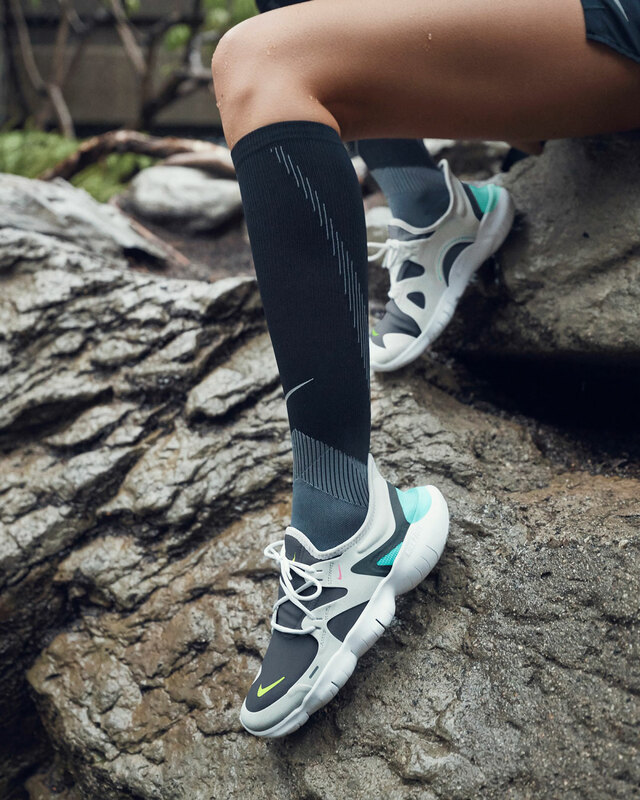 Nike suggests wearing the shoe around your house and daily life to see how your foot takes to it, before moving up to low kilometre runs or wearing them during a class in a studio. For longer runs though, you’re going to need something like the Nike Epic React, Pegasus, or Peg Turbo. The Nike Free 5.0 launched on April 4 and is available at Nike stores around the country, as well as other usual suspects like Foot Locker and The Athlete’s Foot. A pair will set you back $170. For all the latest on fitness trends, head to our Health & Beauty section.